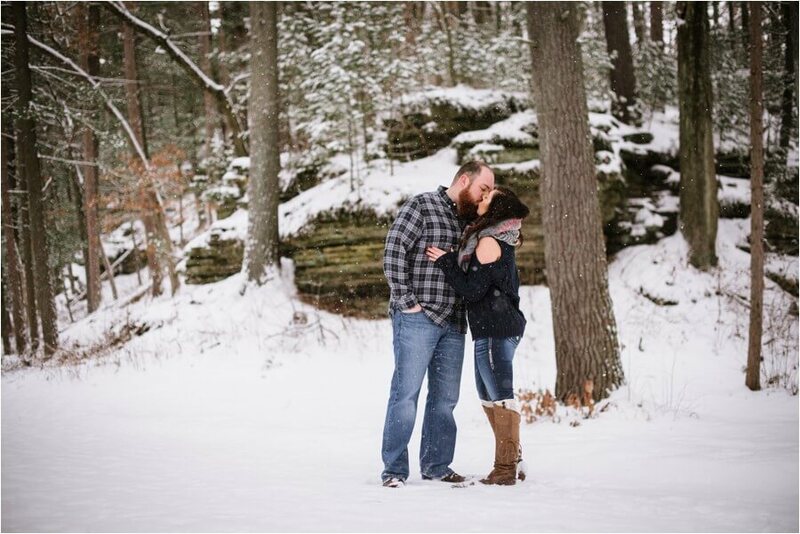 This winter has had some crazy weather, I mean this past weekend was 60 and sunny! 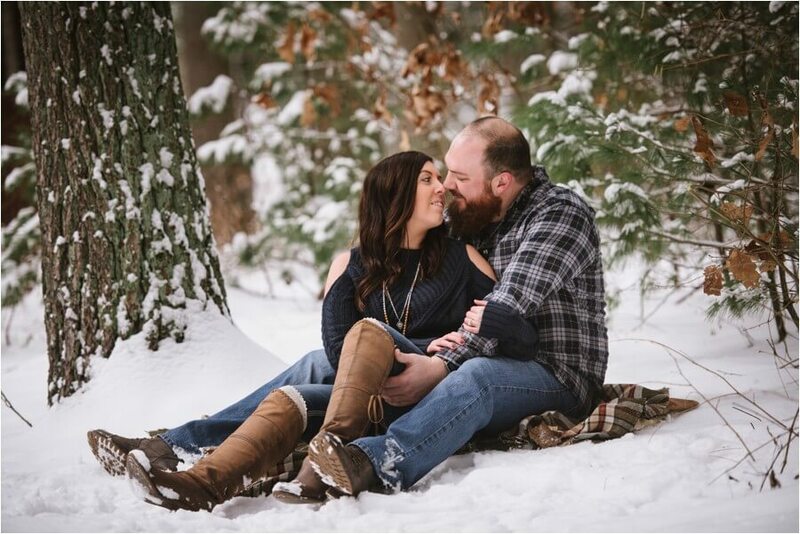 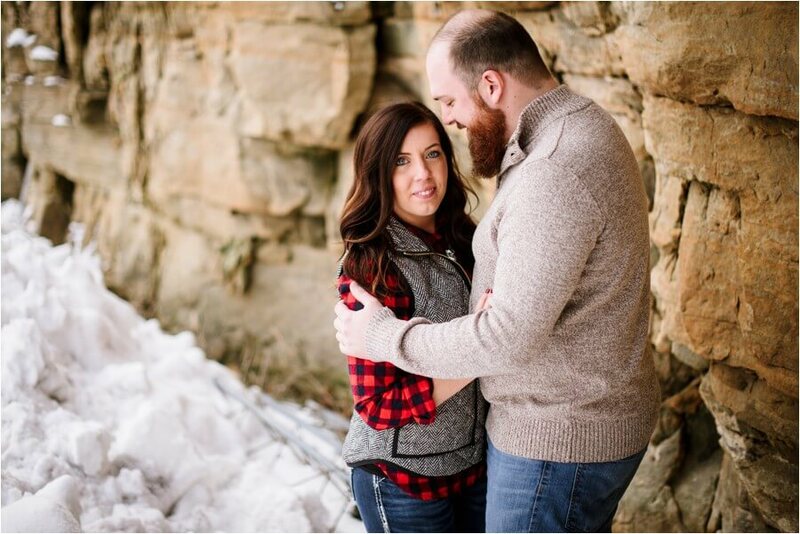 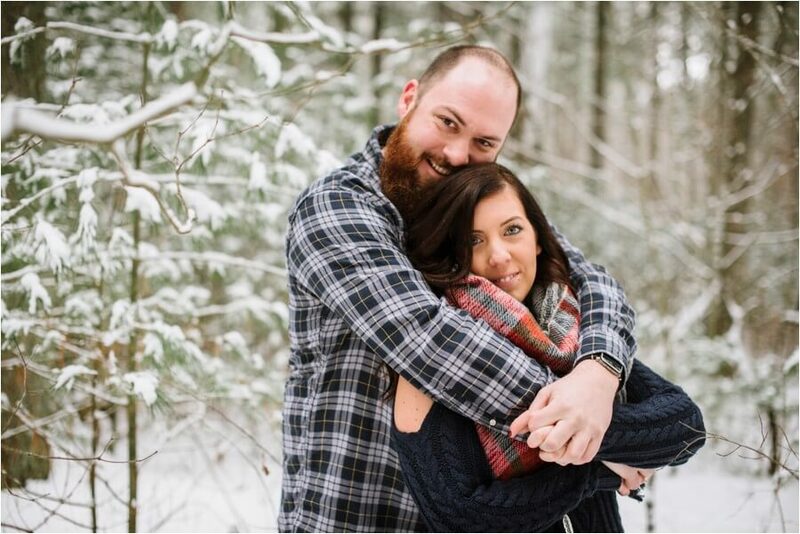 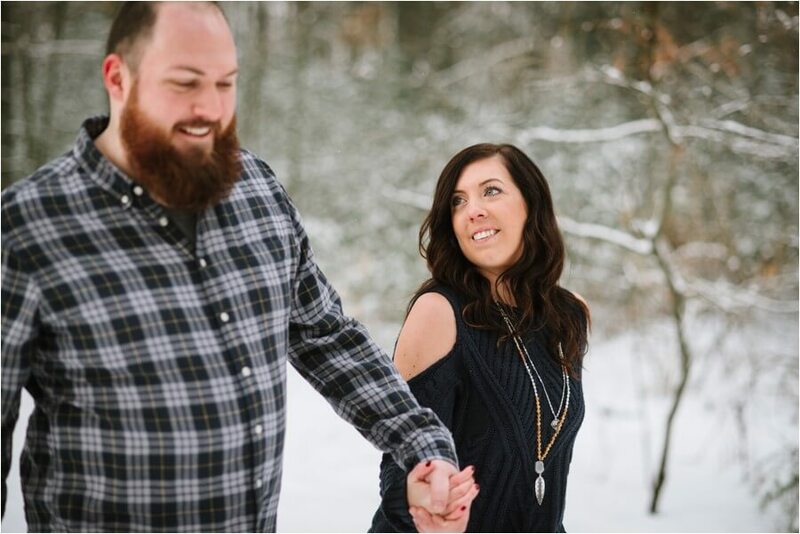 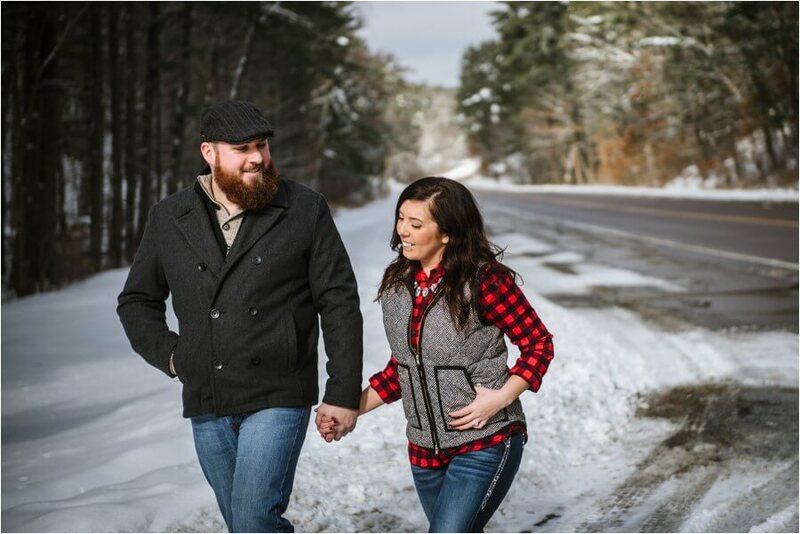 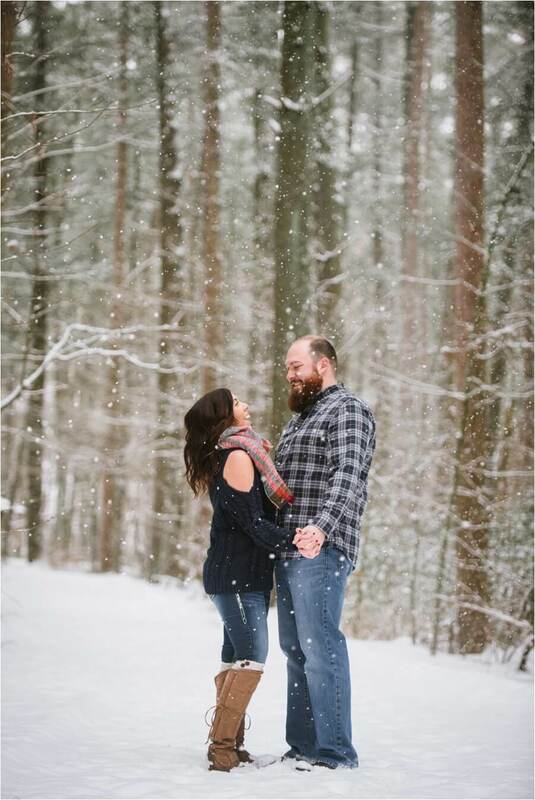 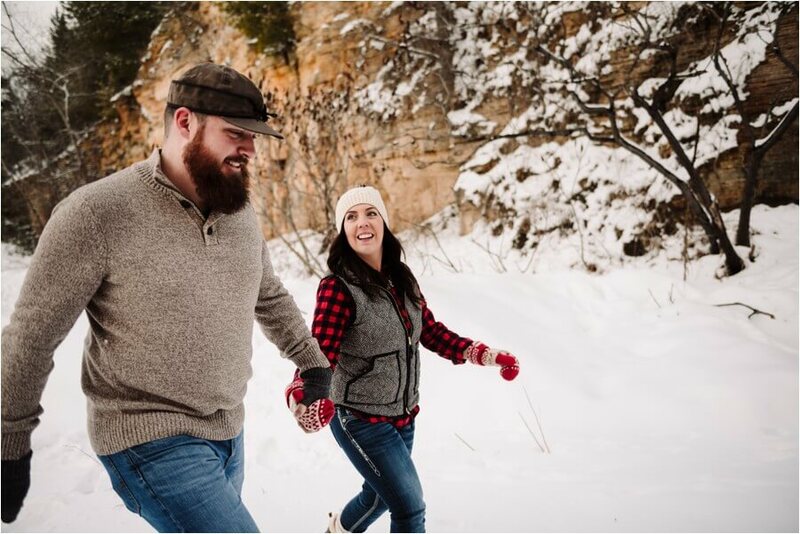 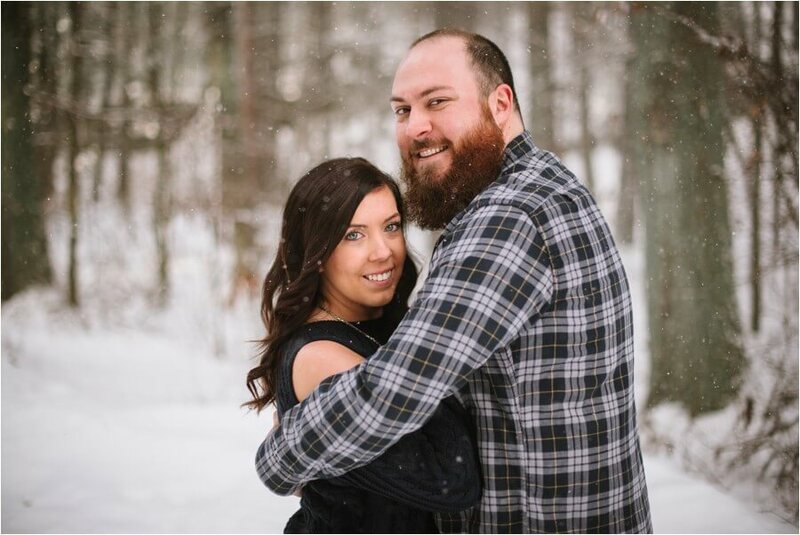 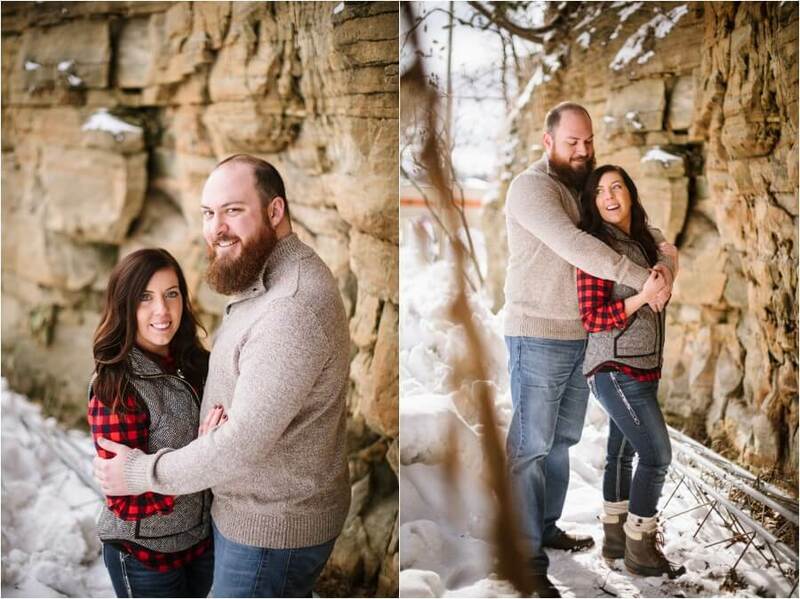 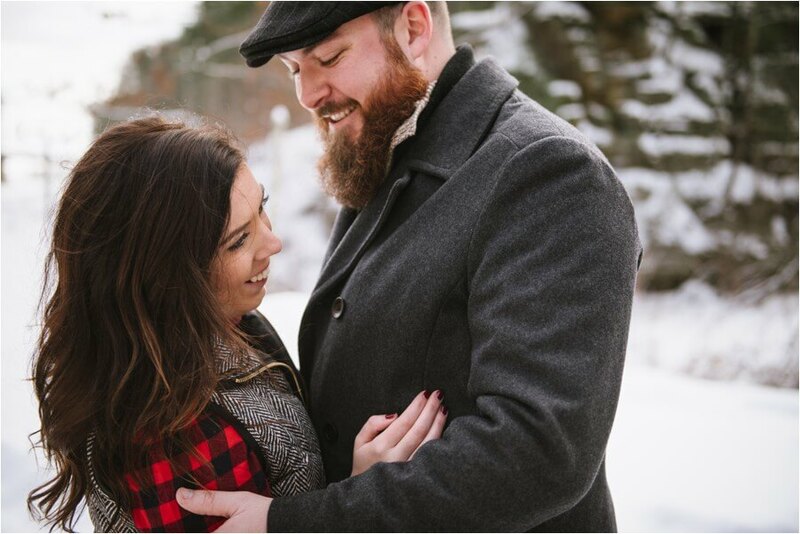 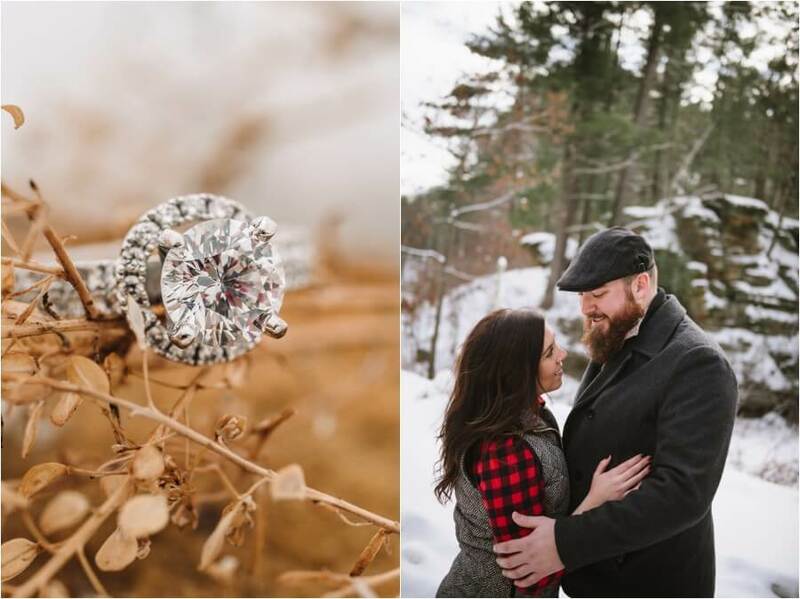 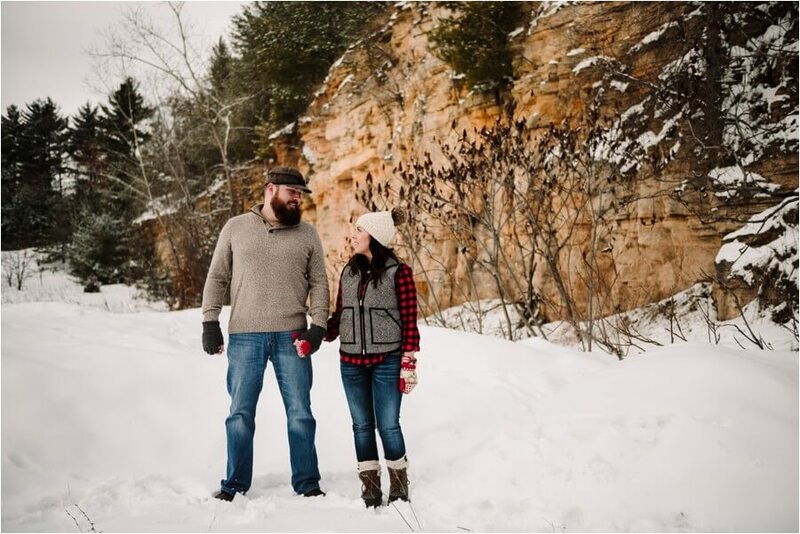 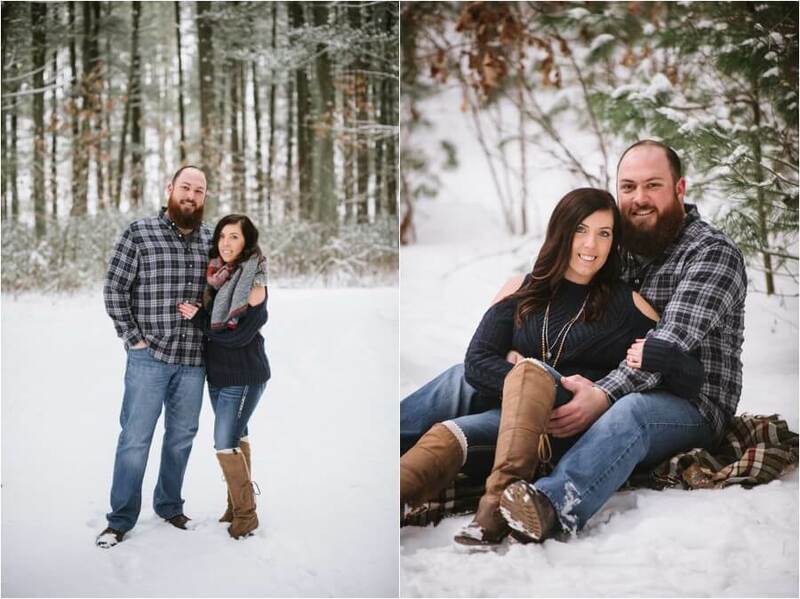 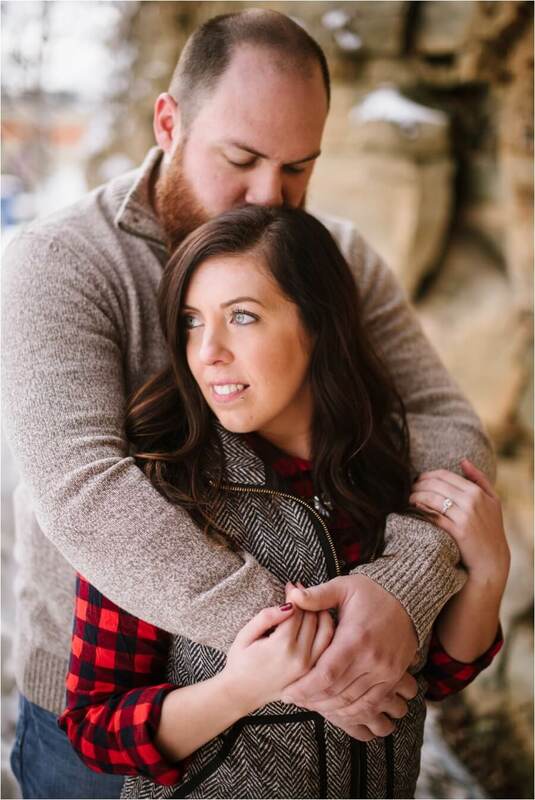 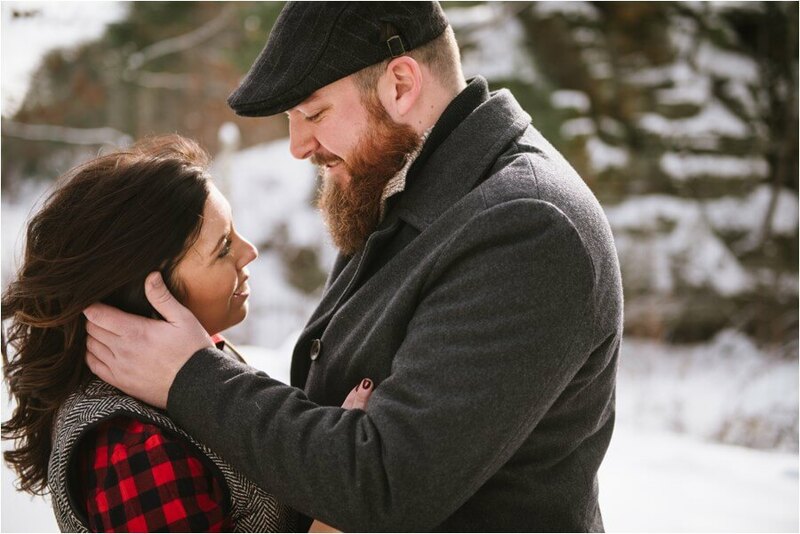 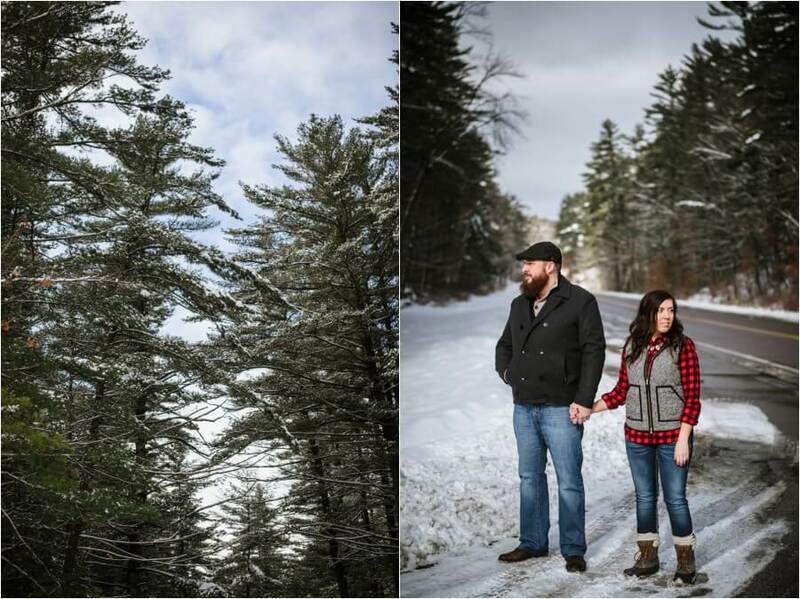 But I know that we will have a few more snowfalls before Spring hits and this sweet snowy engagement session will reminds me of how beautiful the snow can be, and we still need to make it out cross country skiing before the season is done!! 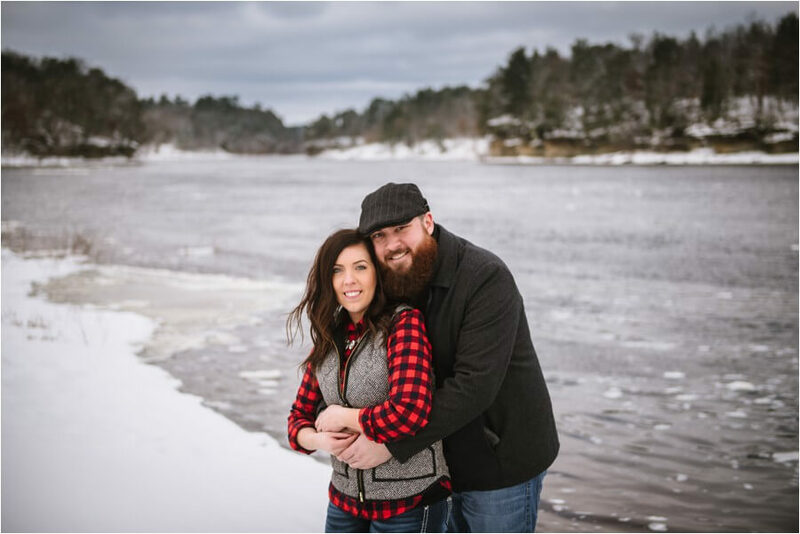 Dawn and Alex are an amazing couple and I’m so excited to be photographing their wedding this fall at the new Field’s Reserve in Stoughton, WI. 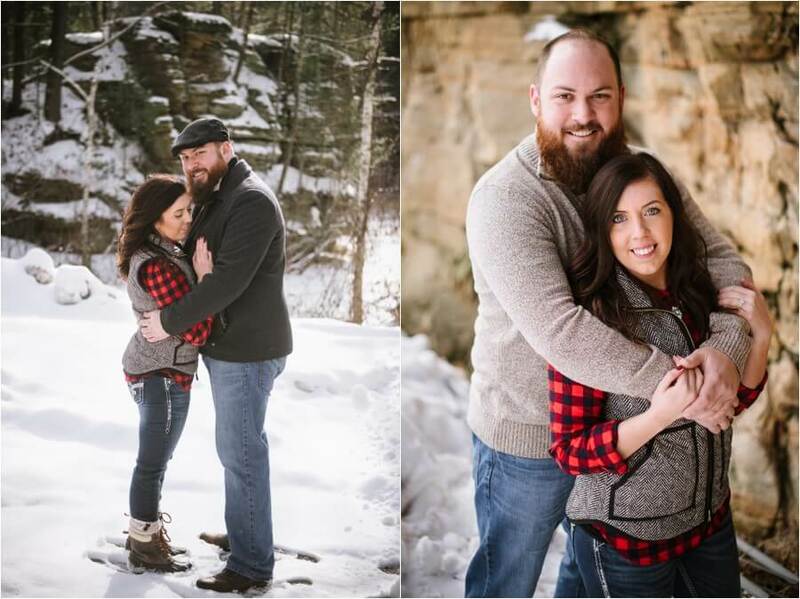 They met online and had their very first date at our restaurant, the High Rock Cafe and they connected over having the same car that they had been driving around town! 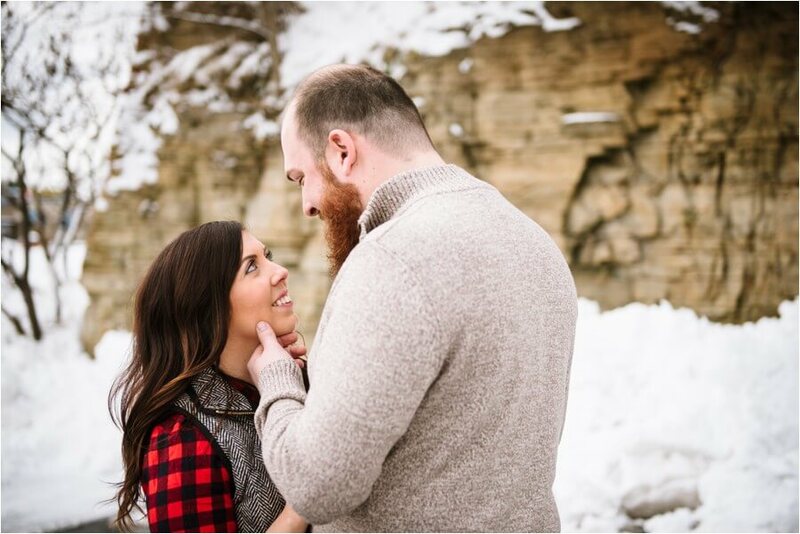 Alex had noticed her from the beginning and it was meant to be! 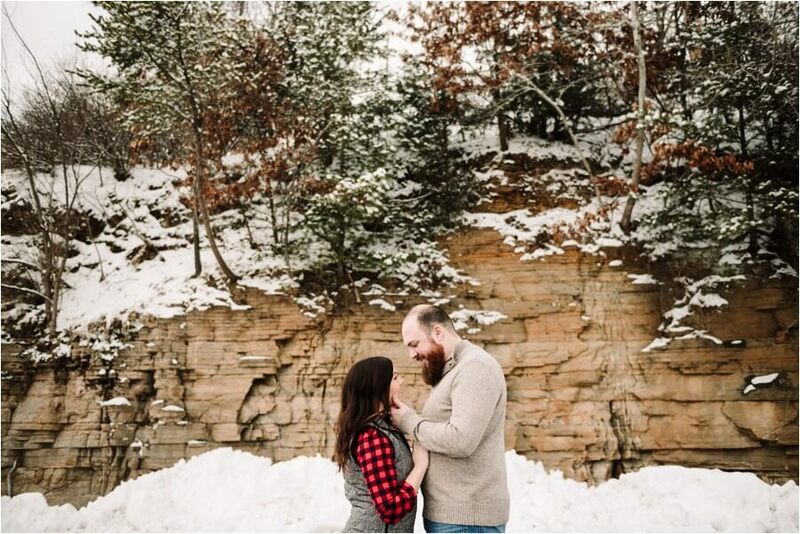 I love hearing the proposal stories – and Alex had a sweet and thoughtful proposal on a beautiful bridge as they were visiting his parents in Wild Rose, WI. 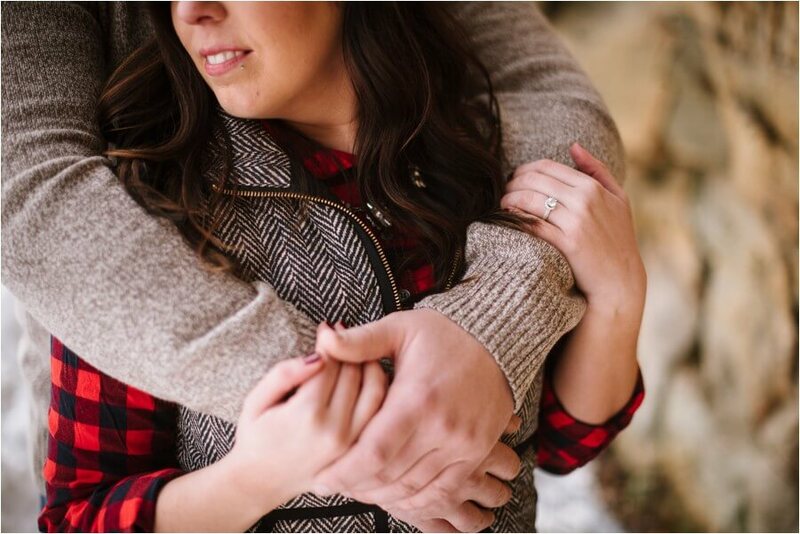 Alex’s father was taking some photos (Dawn is still completely oblivious to his plan) and Alex’s 5 year old nephew Harrison suddenly showed up and came running up to me with a card that said “Will you be my auntie?” How sweet! 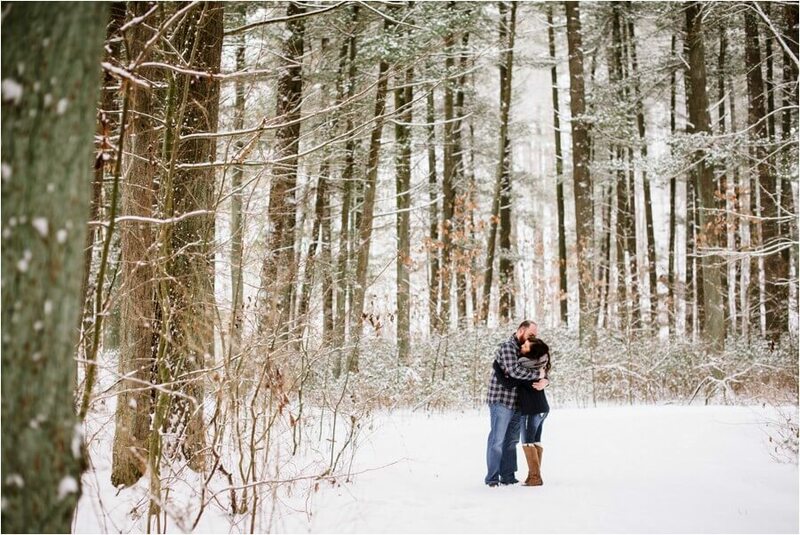 Then to Dawn surprise, her parents also came out of nowhere and they were watching it happen from up by the bridge! 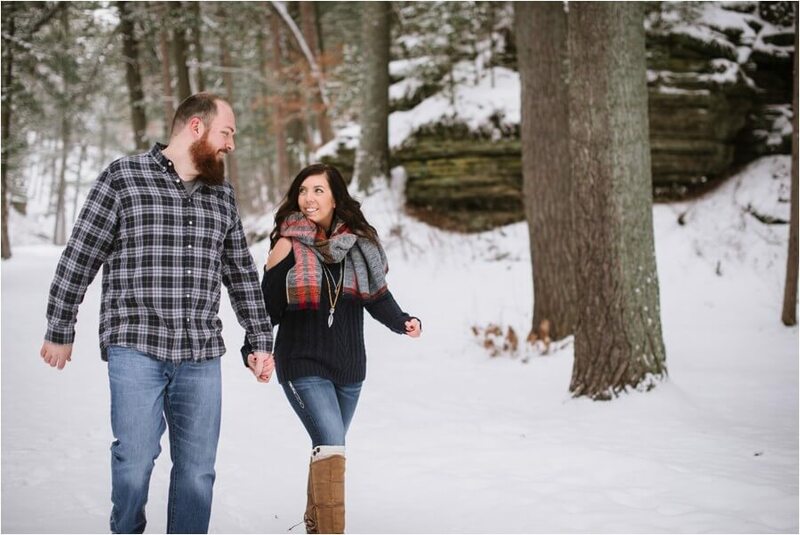 They celebrated afterward by going back to his parents for champagne and then to their favorite brewery in the area, Central Waters! 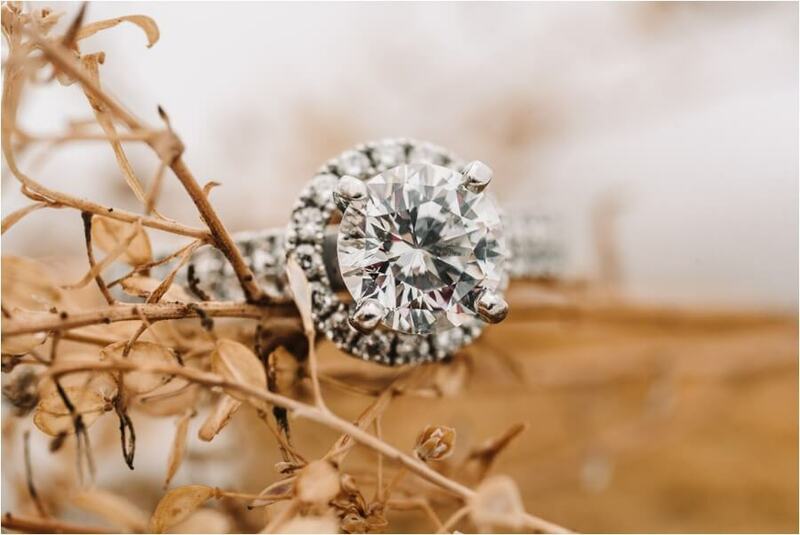 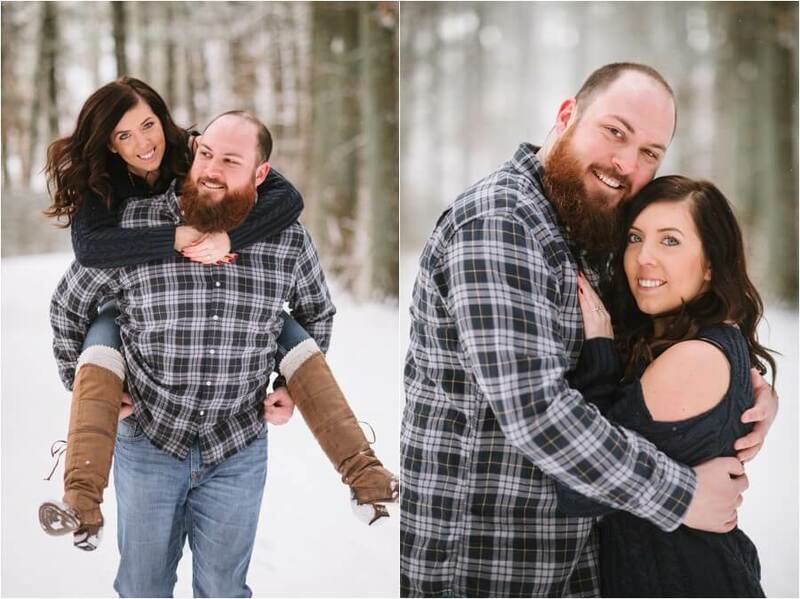 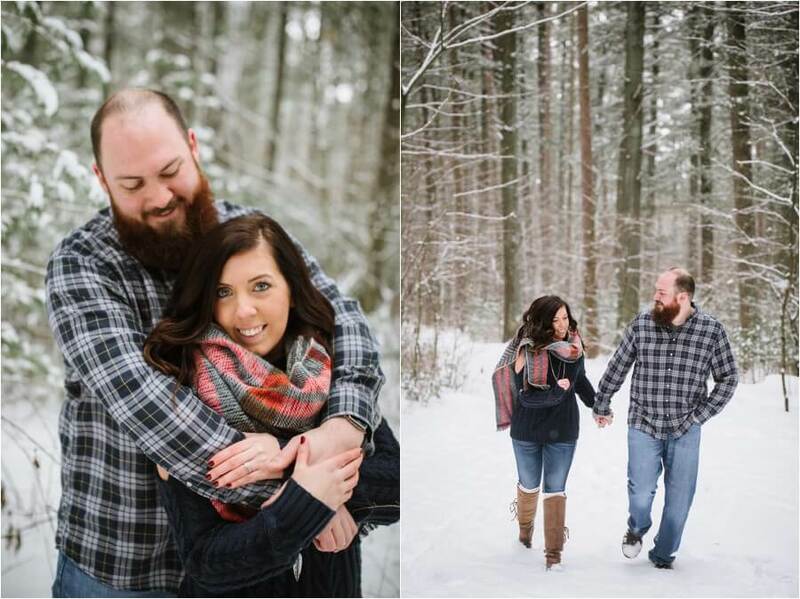 We had the most beautiful day for engagement photos with the snow covered trees and the sun popping out! 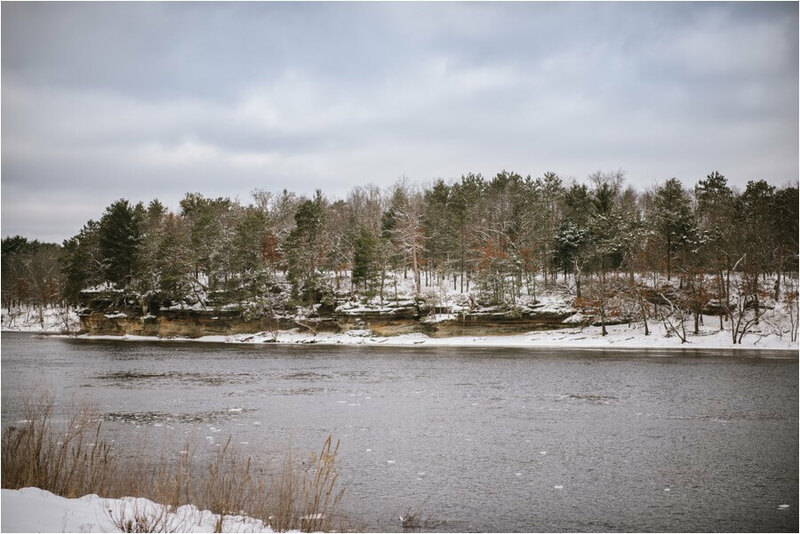 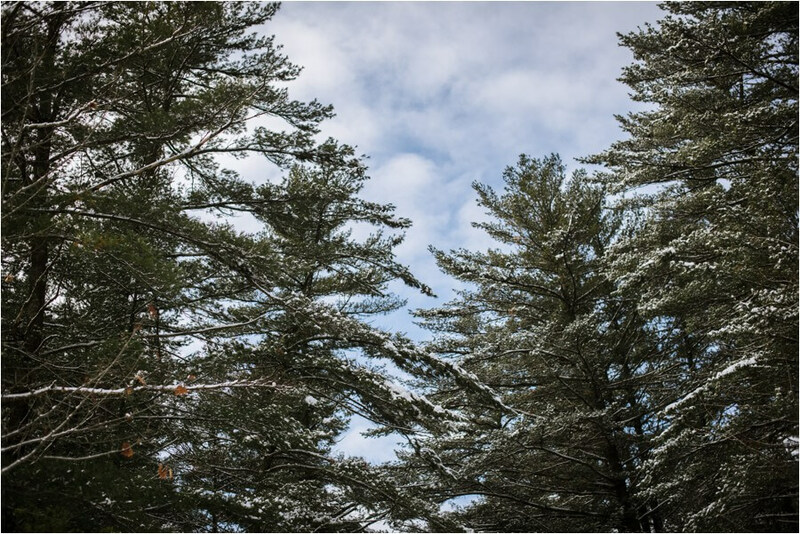 Enjoy some of my favorites from all of my favorite winter locations in Wisconsin Dells.